Today we're talking about the things you could do in a little over 48 hours in Maui. I recently had friends visiting Hawaii for the first time and had lots of fun planning what we could do that would be a good introduction and taste of Maui. They could enjoy different parts of the island for their first few days without having to make any plans - just enjoying the adventure....and I did too. I like to to pick people up at the airport. If you've never been to Hawaii before, you may have an image in your mind of an arrival in paradise, complete with palm trees, tropical breezes, live music and a fresh flower lei. Palm trees and breezes are a given. Some days there is arrival music too. In reality, if you'd like a lei greeting at the airport, you often have to arrange it yourself How unfun is that? When I go to pick up friends or family at the airport, I park the car and meet them in baggage claim with a fresh lei. I pick out leis different than the standard purple orchid lei, since odds are that my visitors might get one of those later on, at a hotel or a luau. Tuberose leis smell amazing. And while everyone looks exhausted standing at the baggage claim and is dreading the wait at the car rental desk, you've got a lei around your neck and a smile on your face. You already look and feel like you're on vacation, even if you're still wearing structured pants and shoes. Break into that luggage. Trade your shoes for slippahs (flip flops) and get ready to jump in Maui! Our next stop is Iao Valley State Monument. 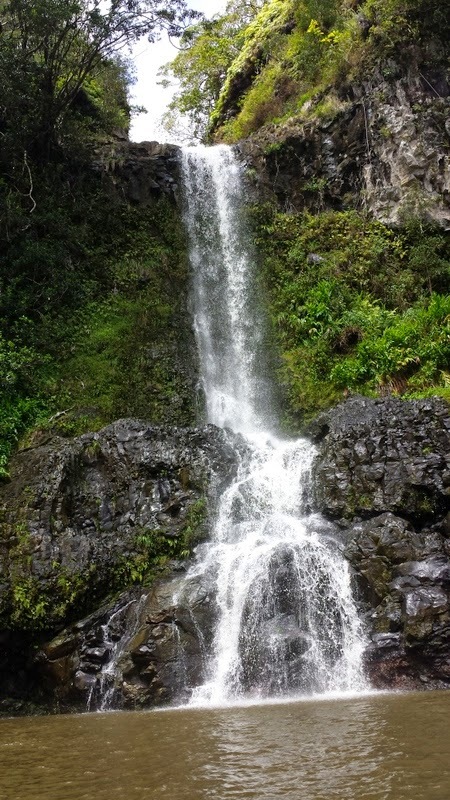 It's a quick ride from the Kahului airport, it's lush and green complete with a waterfall. You can get out, stretch your legs, soak in a view that doesn't involve the ocean, and get ready for the 45 minute drive to Lahaina. So we're sipping on Passion Orange juice and cruising the highway, listening to some island jams on the radio - on the way we stopped at the scenic overlook past Ma'alaea. It's still late whale season, would we see any? It was our lucky day. Even if whale season is over, it's a great spot to pull over and look at the ocean...it's what you came here for, after all. The time difference is real. It's only early afternoon or evening in Hawaii and you feel like you've been up for days, staying awake until 8pm is going to take willpower. So let's go have some pau hana (literally, work's done) drinks by the water. I really like Aloha Mixed Plate in Lahaina. 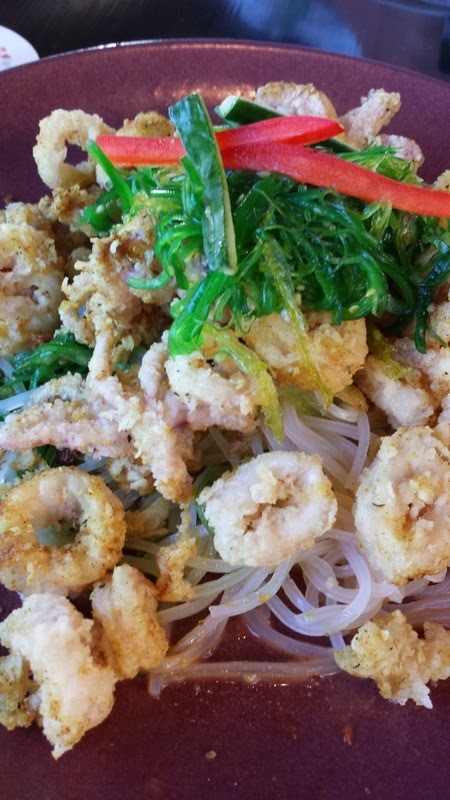 It's right along the water, super casual, the drinks are cold and the food is tasty, fast and at a good value. No need to change clothes or shower, just roll into town, find a place to park and grab a Dirty Banana or Mai Tai from the bar. By the time dinner and cocktails are done and the sun has gone down, it's time to head home. You like to hike and explore? Let's get muddy, wet and climb waterfalls, shall we? You'll really feel like you're in Hawaii. We headed over to the other side on the beginning of the road to Hana to do the Bamboo Forest hike. Some guidebooks mention it, some don't, and none of them call it Bamboo Forest - but that's how the hike was introduced to me, so it will always be that way. After the hike, we rolled down to the Twin Falls Farm Stand for some smoothies and coconut candy. I had never checked out the falls there, so we walked around the grounds while enjoying our treats. 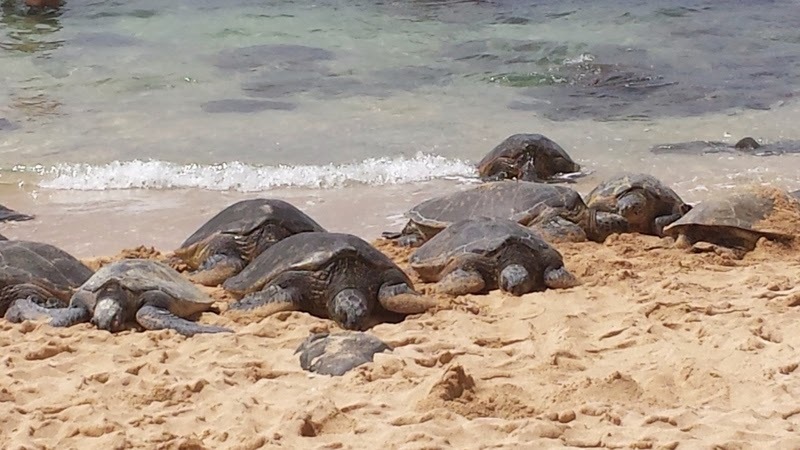 Getting ready to head back to Paia for lunch, we stopped at Ho'okipa Beach to check out the big waves, kite surfers and to see if there were any sea turtles sunning themselves. It was an epic day for honus - there were 20 on the beach! After that, we're sunned and hungry - it's time for some lunch at Milagros in Paia. The ahi burrito is my favorite, along with a happy hour margarita with a li hing mui rim. On our way out the door in morning, my friends suggested we stop at Goodwill to look for some Aloha wear - they were going to be in Hawaii for 2 weeks, why not get something new for their stay. Poppin' tags was a success, and we all walked out the door with something to show for our efforts. I am now the proud owner of an insulated mason-jar style mug that says Let the Shenanigans Begin. As a friend on Facebook reminded me "Jenni, didn't the shenanigans start a long time ago?" Yes. But they begin again each day in my heart. Then we reached a crossroads. We were full from lunch, but 24 hours in Hawaii had elapsed and my friends haven't had shave ice yet. Not an option. Off to the new Ululani's location in Wailuku introduce them to the wonders of shave ice. There's always room for shave ice. Always. Last stop of the day was to pull off at airport beach in Ka'anapali to crash on the sand and enjoy the sunset. Time to get out on the water! We headed out with the Pacific Whale Foundation on their Lana'i Snorkel and Dolphin Watch half-day trip. Not even halfway to Lana'i, we see a mother and calf humpback whale who were enjoying an extended stay before heading back to the chilly waters of Alaska. The dolphins were bow-riding the boat, we saw bottle-nose dolphins on the way over to Lana'i and Hawaiian spinner dolphins on the return trip. The snorkeling off the cost of Lana'i was beautiful and the boat even had a slide. Did we slide? Of course! A bbq lunch and mai tais on the cruise back to Lahaina Harbor put us in a relaxed mood for the afternoon. We enjoyed the shade of the Banyan Tree, looked at the crafts, and checked out some of the shops. And we might have had more shave ice. And then to rest, shower, and prepare our stomachs for an exceptional meal at Japengo. Everything on the menu is great, from the curry dusted calamari for a starter to the malasadas for dessert. What do you think? 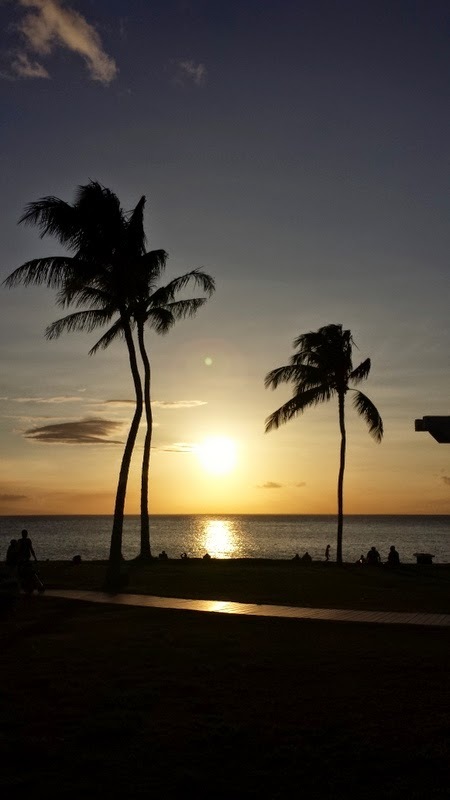 What are the first things you'd like to do when you come to Maui? Do you have a favorite restaurant or site that you like to share with visitors? World War II is a defining moment in our US History. As our WWII veterans pass on, that history goes from stories told in person to something that is just in the history books. 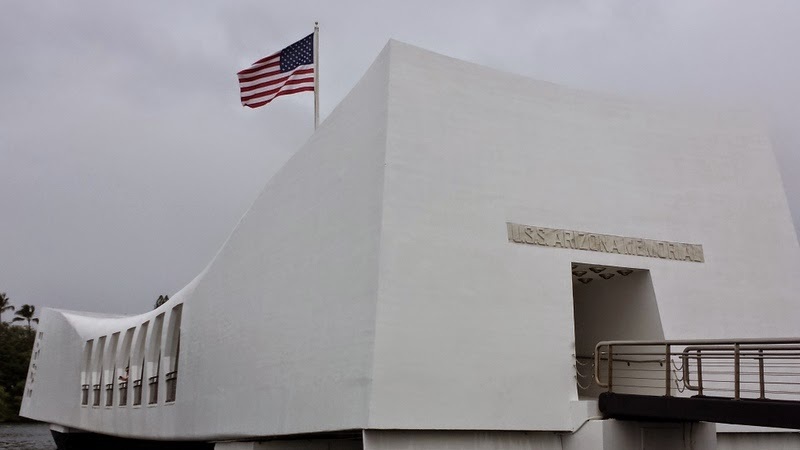 World War II Valor in the Pacific National Monument in Oahu, Hawaii, still has the living history: veterans come to the monument to share their stories. 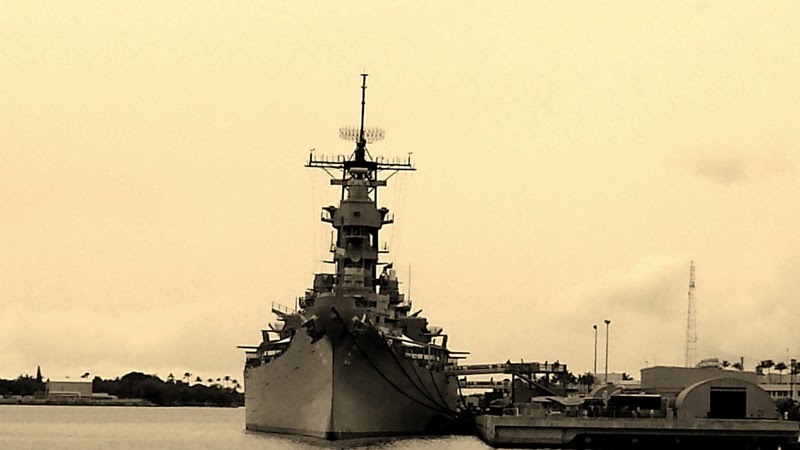 I had the privilege to meet and hear the story of Delton Walling, who served on the USS Pennsylvania. His military story starts before he even enlisted. He had a bad finger from boxing and when asked how he would be able to get into the Navy, the doctor said to cut it off. And he did. I was there a few days before the 73rd anniversary of D Day in December. Almost all of the USS Arizona survivors were coming. But all is a small number - the remaining survivors are all in their 90s. Our tour guide for the day knew the veterans who visit and return annually by name and gets emotional when she speaks of them. My grandfather served in the military during WWII in Europe. He passed away before I was born, but as my mom and I were taking the boat over to the USS Arizona, she shared his story. 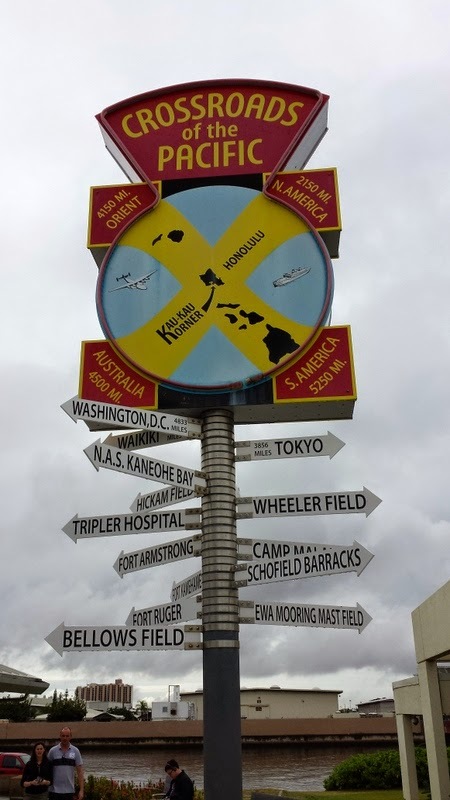 Have you been to Pearl Harbor?